The end of an era: FTTP rollout comes to an end - jxeeno™ blog. 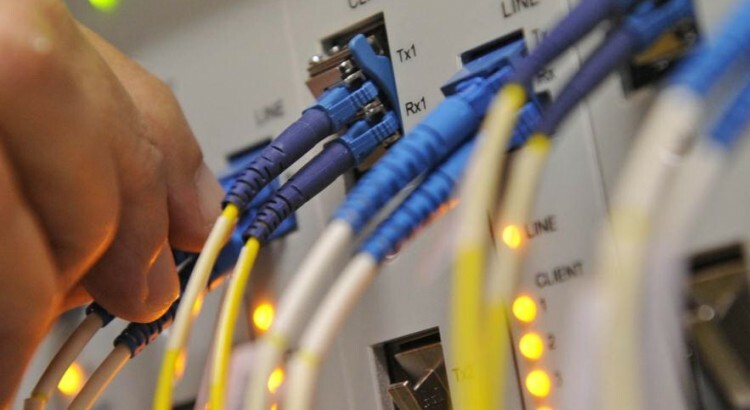 The plan to roll out Fibre all the way to 93% of Australian premises would have put Australia in the forefront of the 21st century with ubiquitous, next-generation connectivity to homes and business around Australia. For once, a Government was crazy enough to think that Australia had a chance to lead in the 21st century. But Governments change, and policies change with them. While each plan may seem to have their own merits, what we know for sure is that lowered rollout standards (set out in the current Government’s Statement of Expectations to nbn™) will mean that Australia’s Internet will again be limited by the actions of a nationwide fixed-line telecommunications monopoly. With a fully fledged Fibre to the Premises rollout, a 10x, 100x, 1000x bandwidth upgrade is as simple swapping out the “exchange” and selected end user equipment. But now with FTTN/B and HFC in the Multi-Technology Mix, nbn™ will have the sole power to respond to increasing bandwidth requirements by investment, and we can only hope they don’t do what Telstra did in the past. While it wasn’t the original plan of the first Rudd-government to build an FTTP network, an anti-competitive and less than cooperative privatised Telstra who monopolised fixed-line telecommunications in Australia forced the Government to be innovative. The Government ditched the original plan for an open-tender Fibre to the Node network, with a Government-owned company overbuilding the existing network to bypass Telstra. With a new plan — the NBN, Mark II, the threat of a Government-owned Enterprise building a Fibre network across Australia, overbuilding Telstra’s copper network, forced the company to cooperate and finally structurally separate into a Retail and Wholesale company. The plan that forced Telstra to cooperate through the newly established NBN Co back in 2009 allowed the current Government to enact their current plan for a Fibre to the Node rollout. Regardless of whether you currently have the NBN, without the groundwork set back almost two election cycles ago, the current broadband landscape in Australia will be vastly less competitive and may still be dominated by Telstra retail. At least now, there is some competition in the ADSL2+ business. Fibre to the Premises is one of the many technologies that the MTM rollout will utilise. While nbn™ is unlikely to roll out entire areas with a pure-FTTP infrastructure, the company will commence a “patchy rollout” on an ADA-by-ADA basis (Access Distribution Area). Examples of these may include Greenfield (new) developments, areas where the copper is not up to scratch for Fibre to the Node, or industrial areas. Under the nbn deployment principles, published in November, the company has identified areas with a high number of business customers to prioritise in the rollout. Fibre to the Node is coming hard and fast. Over 130 thousand Fibre to the Node premises are expected to be switched on by the end of the year. At first, all these premises will be speed limited to reduce interference with existing ADSL and phone services. But once the services are turned up to “full speed”, nbn™ anticipates that most premises will be able to get at least 25 mbps download speeds with a target of 90% of premises getting at least 50 mbps. The variability in copper line length, signal interference, dodgy lines or rain is the main concern of any DSL deployment. The only way to solve it is replacing the copper and bringing the nodes closer to the end user’s house. These come at great costs to nbn™, and no doubt, they would be reluctant to invest any more than they need. HFC internet delivered over the cable TV network is coming early next year. Like FTTN, initially it will have greatly limited spectrum and limited speeds. After a few years when Telstra and Optus finally moves their customers over to the NBN, nbn™ will have access to a greater spectrum — hopefully opening up the a shared capacity of up to 1gbps using DOCSIS 3.1 amongst the entire neighbourhood. But herein lies the issue of shared capacity. With a whole neighbourhood, varying from 100 to 1000 premises, sharing a limited capacity… the increasing bandwidth requirements of a modern society will eventually break the technology’s limits again… and require another upgrade at great cost to nbn™. The question is: will they invest when there’s the need, or will Australia be left in broadband backwater again? While it’s hidden away from most customers, one very important and upcoming concern with the NBN will be the CVC (Connectivity Virtual Circuit) charge that nbn™ charges service providers to deliver services to end users. The current pricing model is prohibitive and may lead to significantly higher costs for consumers thanks to the recent pick up of video streaming services like Netflix, Presto and Stan. With nbn™ commencing phase 2 of their revised product pricing consultation, I’m anticipating major changes in the CVC front within the next 12 months. The current models are just not sustainable.